A contractor spent time turning discarded Christmas trees into mulch. A wood chipper made short work of the trees. 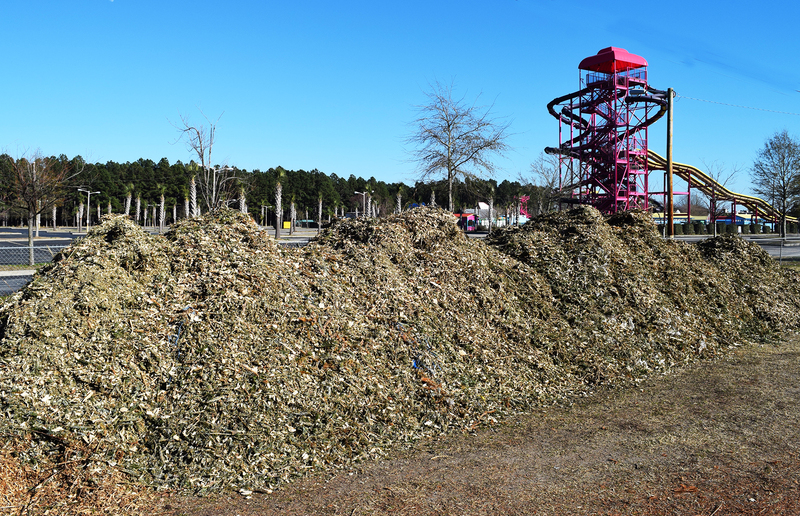 The large piles of mulch left behind are now free for anyone in the Myrtle Beach area. Bring your own container or pickup truck. The mulch pile is on Mr. Joe White Avenue Extension, west of US 17, just past Myrtle Waves Water Park.